Where has the time gone? I put my head down at the end of the 2nd quarter and suddenly it’s almost the 4th quarter. I always try to make sure that I stop at least once a quarter and really assess what I, and my organization, have learned. Change is a frustrating - yet potentially powerful - force. The key is to harness its power and not let it overwhelm you. I admit, that’s something that’s much easier said than done. This year has represented tremendous change - and opportunity - for Imagine. We’ve grown considerably, done some great work and (frankly) struggled in some areas as well. One of the areas that has undergone the biggest shift is an area we’re becoming quite well known for - integrating sales efforts with inbound marketing. The biggest lesson we’ve learned (or relearned) is how critical dynamic process is to success. Our sales development team will have more than doubled by the end of this year. It’s a fascinating experience when a team like this doubles (especially when we haven’t received any outside funding like most organizations that are quickly scaling sales development functions). Make no mistake, we understood the importance of process when we started the year; but what we’ve come to understand at an even deeper level, is that it’s even more important than we thought it was. Whether you’re looking to build a team of 10 SDRs or just one, be sure that you invest more time, money and energy that you expect into building and maintaining an effective sales development playbook. If you already know how important a playbook is, and you just want to start or improve yours, then you can download our Sales Development Playbook Workbook below, and skip the rest of this post. Okay, so you’re not a full believer yet, and you need to know a bit more about why a playbook is so important. Not a problem. 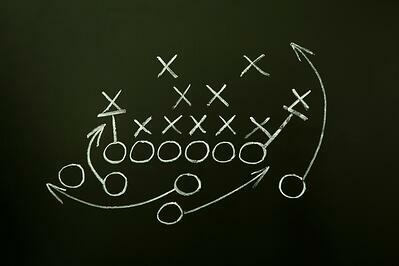 I’m happy to share with you three key reasons you need to build out an excellent playbook. Sales development is a high velocity endeavor. While the days of blasting thousands of emails to unsuspecting victims prospects are over, and personalization and customization are increasing exponentially in importance; you must be able to balance that need for personalization with the time that is invested in the effort. A solid playbook provides the messaging and the templates to give your SDRs a significant “head start” in the process. It also provides the insights, messaging, sound bites and tips that enable your SDRs to efficiently and intelligently manage the process. SDRs freeze and become less productive. As a matter of fact, if you see an SDR’s activities decreasing, it’s a pretty good bet they’re stuck and confused. SDRs constantly bother a manager or field/account salespeople with questions. While open communication is certainly a good thing, in this situation it kills the productivity of two important people. An effective playbook provides the baseline for actions, so that management and sales can stay focused on high value activities. Here’s a riddle for you. How do you take a young, inexperienced person and in a short period of time enable them to have reasonable conversations with seasoned prospects with the authority to do something? Simple - with a playbook. A good SDR has knowledge that is an inch wide, and a half mile deep. What I mean here, is that a playbook (combined with effective buyer personas) provides your SDRs (who are typically inexperienced) the background and insights they need to handle the significant few issues that lead to buying opportunities. They don’t need to know everything, and you’ve got to build your process to minimize the variance associated with early stage opportunities (which is one reason the process often doesn’t work with very high-end or complex professional services offerings). In actuality, if an SDR knows too much, they’re actually likely to chase what I call “false positive” opportunities - they look really good in the beginning, but they quickly fall apart when things get serious. Additionally, you don’t want your SDRs to take the process too far down the path. When we started our sales development process, we actually hired pretty seasoned sales reps who loved prospecting. We found that while they’d get off to a fast start and required little initial oversight, they’d constantly try to take the process too far and they’d lose opportunities that could have become sales qualified leads. A playbook enables someone inexperienced to know enough to get a conversation started to highlight key factors that lead to win/win sales opportunities. Hiring salespeople is the absolute toughest hire to make. The mis-hire rate can be astronomical. When you’re hiring SDRs, the risks can be extraordinarily high. You can’t typically rely on experience to determine the likelihood of success, so the only thing you can do is hire for fit and then count on your process for success. Ambiguity, early with a sales hire, can be deadly. The vast majority of reps experience at least mild call reluctance (it’s natural), and it’s vital that you keep the barriers to being productive to a minimum. What’s more, as my friend Mike Weinberg shares in his book Sales Management. Simplified., the vast majority of “sales failures,” are really the fault of management and not the salesperson. Creating a playbook requires management to truly think through the process and address many of the issues that would otherwise lead to failure. Creating (and maintaining) an effective playbook is not a quick, easy, painless or inexpensive effort. The reality is that few companies desiring growth are actually willing to invest adequately in the quality of process and playbook needed for success. However, those that do gain a significant growth advantage and enjoy the spoils.